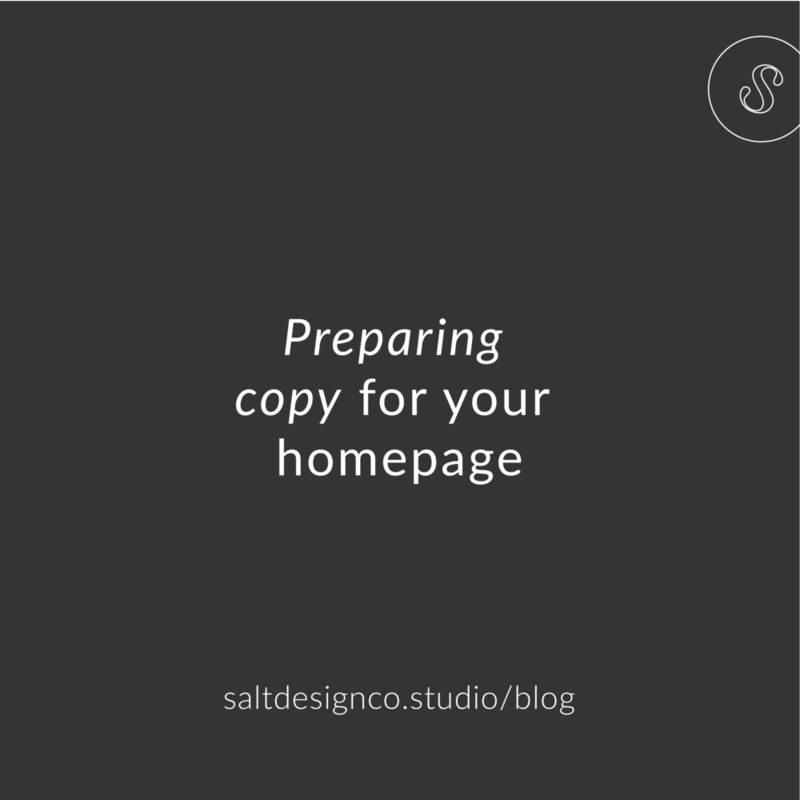 Preparing Copy For Your Website — Salt Design Co. Creating content for your website can be daunting. You might have hired a designer, or be taking the plunge into web design by yourself, but either way it can seem like a big task with no end in sight. One thing we never want, is for you to feel overwhelmed by it all - building a business is TOUGH! We can't deny it. And yes, you're going to be overwhelmed at times, but we want to help with the design process, so we're going to walk you through the steps you'll need to take when creating content for your website for each of the main pages. A home page, therefore, can either be a long page that a visitor needs to scroll through to learn about you and your business, or it can be a single page with a clear navigation that leads visitors to other pages. With all of these elements used (or at least 3 of them) you can use your homepage to guide visitors to the different areas of your website, succinctly explain what you do and show that you’re great at it! Use your Google Doc or Word Doc to write information for each of those categories, and then start designing your homepage with that content ready. This way you’ll be much more prepared and able to design well, but you’ll also hit all the topics you need to on this important page! Hire us and we’ll strategize, design and develop your website for you! Take a look at our design options here.